Try square dancing for free on September 8 at Lac-A-Do Hall with the Olympia Area Square Dancers. Submitted by Olympia Square Dance Inc. Looking for a new activity as fall comes our way? Square dancing is a perfect way to keep active, have fun, meet friendly people, and exercise mind and body. 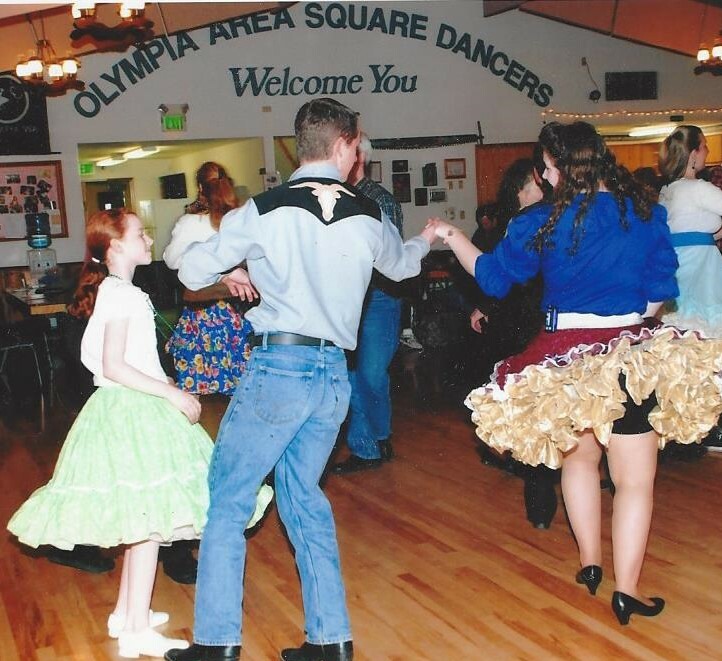 Olympia has a vibrant square dance community, and we want to share the fun with you. We are offering a Free Introduction to Square Dancing on Thursday September 7 at 6:30 p.m. Everyone is welcome to come to Lac-A-Do Hall, 1721 46th Ave NE, Olympia for a fun square dance party. If you decide you like, it you can join the lessons that start the following Thursday. If Thursdays don’t work for you, we will help you find other options. 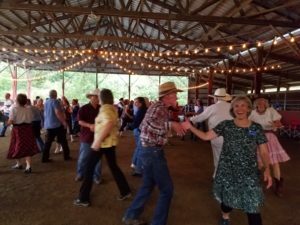 Olympia square dancers enjoy a summer barn dance. Photo courtesy: Olympia Square Dance Inc.
We square dance because it’s fun and social, but there are other benefits. You walk three to four miles in a night of dancing, moving to good music. Recent research also shows that learning this type of choreographed dancing is the best way to preserve brain function. The lesson program in Olympia is very popular, and has been copied by other square dance groups throughout the U.S. Once you learn to square dance, there are activities in Olympia almost every night of the week. You can square dance anywhere in the world, as the same moves are taught around the globe. To learn more, check our the Olympia Square Dance Inc. website or call Nancy at 360-438-1284 or Ed at 360-352-2662.